As we enter the last quarter of the year now is the time to get your message out to the buying public. WOAP now offers you the chance to advertise on both AM and FM to reach new customers. For more information on putting your trade dollars to work getting you more cash customers call Bruce at the Flint BTE office 810 744 3698. 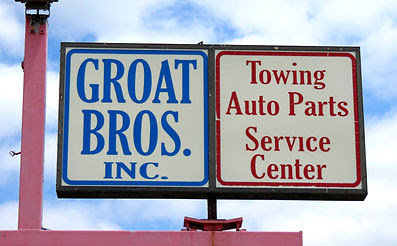 Groat Bros. Auto Repair& Towing,www.groatbrothers.com., 1466 Eureka Road, Wyandotte, MI 48192 . If your vehicle needs repair work call Joe Groat 734 284 6232 and bring it in for repairs. They are trading labor on vehicle repairs. They also offer full service oil changes, HOWEVER FOR OIL CHANGES YOU NEED TO PURCHASE A GROAT BROTHERS OIL CHANGE TRADE CERTIFICATE from the BTE office 734 946 5759. If your vehicle needs a tow they also offer towing during normal business hours in their area. For complete details on towing call Joe734 284 6232.